A day after National Security Adviser John Bolton flashed a notebook suggesting 5,000 U.S. forces could be dispatched to respond to the internal crisis in Venezuela, the Pentagon was mum on whether or not that was a real option under consideration. Acting Defense Secretary Patrick Shanahan told reporters in a briefing Tuesday that the Pentagon was monitoring the evolving upheaval in Venezuela that has boiled for months and led to severe food shortages, skyrocketing inflation and rioting. It came to a head last week when Juan Gaido, president of the Venezuelan National Assembly, declared the presidency of current leader Nicolas Maduro illegitimate. The U.S., U.K., Brazil, Colombia and Canada have backed Gaido; however Russia, Turkey and China have vocalized their support for Maduro and Venezuela’s military leadership still backs Maduro. In response to President Donald Trump recognizing Gaido as Venezuela’s legitimate leader, Maduro ordered all U.S. diplomats to depart the country, which the U.S. refused to do. Typically in a potential overseas crisis, the State Department would request evacuation support, either from DoD or contracted support. 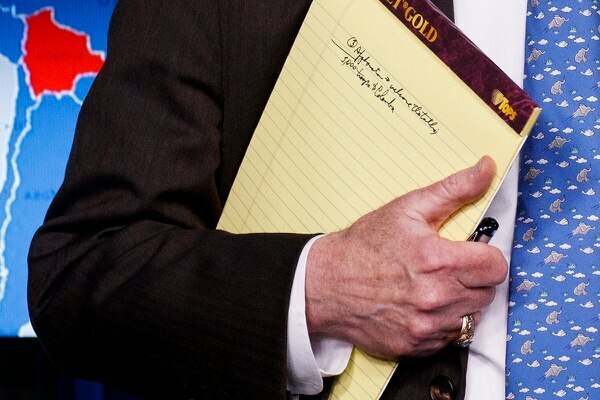 As of Monday evening, when a photo emerged of Bolton carrying a notebook that read “5,000 troops to Colombia,” no request had been received. 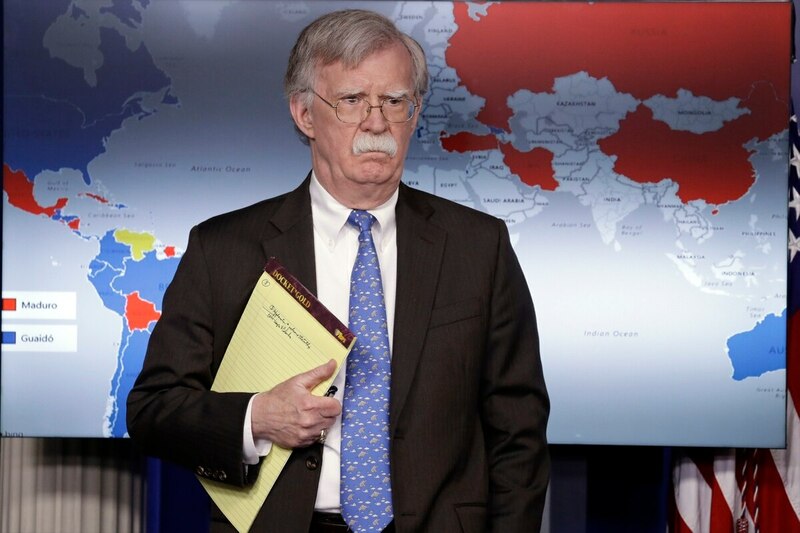 It was not clear if it was possible DoD would amass troops in neighboring Colombia to respond, or if Bolton had purposefully carried the notebook to send a message to Maduro. Trump took Pentagon by surprise by suggesting U.S. forces could intervene. Shanahan said he has not specifically discussed the option of 5,000 troops with Bolton, but he would not rule it out.